The former was, of course, due in part to the amazing performance by her voice actress, Kaede Hondo – a VA that’s very quickly becoming one of my favorites, and due also in part by Kohaku’s bold and unabashed characterization from the moment that her young self was introduced. But the latter was what really made me fall in love with her character because of just how important her perspective was in relation to the meaning of ‘magic’ within the series. Most of the magic in Irozuku is mundane. It’s sometimes used as super-powered scented candles, or for illusionary light shows, or for fortune telling. But despite its mundanity, it has the power to move and inspire – or at the very least provide a little bit of happiness to those that it affects. As was the case with Hitomi and Aoi; despite her traumatic past with magic, she wanted to pursue it again to give something back to the person who provided some color in her life again. 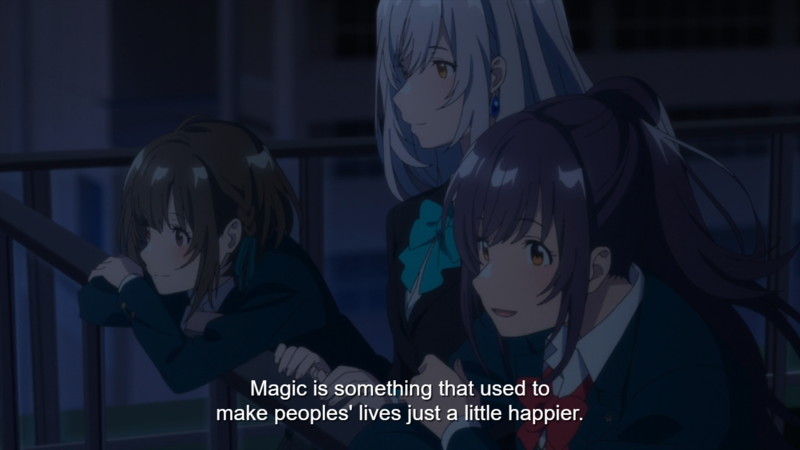 At its core, “magic is something that’s used to make people’s lives just a little happier”, as Kohaku says. 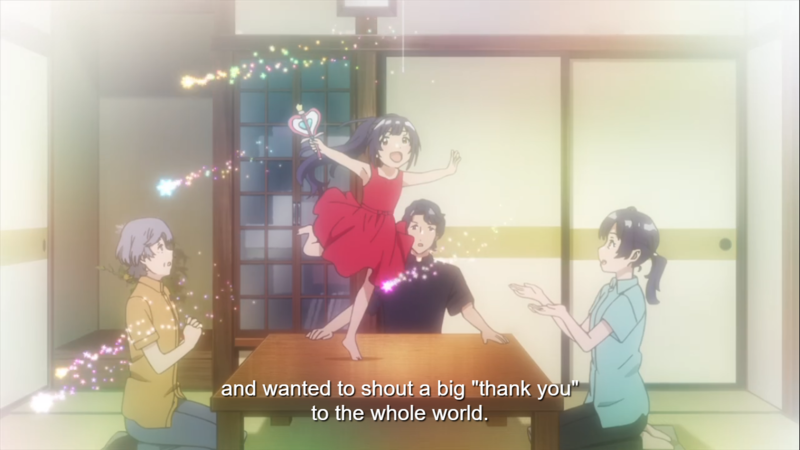 And as a person who’s been given so much joy from being able to use magic, she’s always wanted to give some of that back, as a “big thank you to the world”. It’s a small and really straightforward kind of thing but it’s something that’s analogous to the way that I see writing and the act of creating of any kind. And it’s certainly no small factor in why I got so attached to Kohaku’s character. A goal that I’ve always had was to write something that could have a lasting impact on a person and to create a permanent place that could provide that kind of thing, as a way of returning the favor to the people that have done the same for me in the past – the biggest kind of “thank you” that I could think of. This brand of magic is much more mundane than the magic of Irozuku but can, if done correctly, reach similar heights. And so for a person like me, Kohaku’s pursuit of an adequate return for the joy she’s experienced is as admirable as can be. This is the sixth of twelve posts that I’ll be publishing as part of the 12 days of Anime event. Be sure to check out all other amazing writers that are participating in this year’s event here.